Stussy is also having a Sample sale, and opens later today down East London way in The Dray Walk Gallery, off Brick Lane. 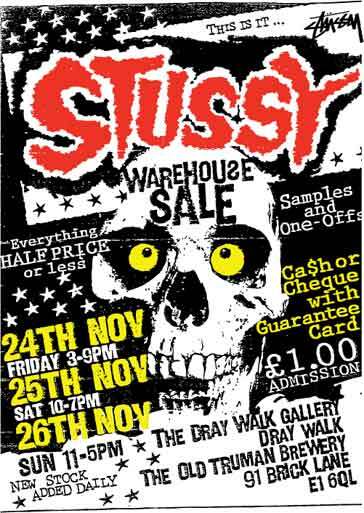 The sale runs over 3 days until the 26th November with samples and one-offs for slae. All stock will be half price or less. Be warned they are charging a £1 admission charge! !